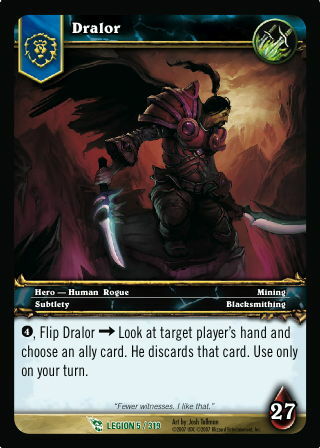 Rules: 4, Flip Dralor -> Look at target player's hand and choose an ally card. He discards that card. Use only on your turn.